I have always been a fan of spirit week. Partly because I was a cheerleader, therefore you are kind of in charge of the spirit, and partly just because I think it is fun to see all the kids express their selves. They have all sorts of fun things each day during the week; sports day, pajama day, school shirt day, backwards/inside out day, and of course my favorite, wacky hair day! I am a super fan of this because I also participated in wacky hair day when I was a youngin' I actually won 50 dollars, first prize for the wackiest hair. wish I had a pic, but I don't. 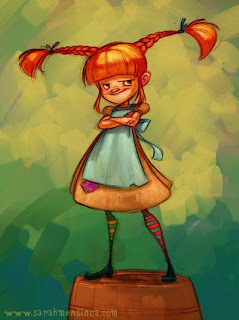 Basically I had really long hair, I put a braid on each side of my head, attached a hanger to my head and threaded the hair through, so I had a "Pippy long stocking" do. It was awesome. My hair stuck straight out and up off my head. So today was wacky day, and our clothes we wear are already wacky, so I decided we would go with the hair. Poor Conner always wants to do spikes or something, but his hair is soooo stinking coarse, it won't budge. We call him our little Brillo pad, seriously, it's rough. A buz cut will always be his signature do, poor thing. Anyway, Dad saved the night last night by searching for hair dye, and came home with Hannah Montana blue. It was a hit, and showed up perfectly. Taylor had to get in on the hairdo too, who could not if Hannah Montana was sporting it? 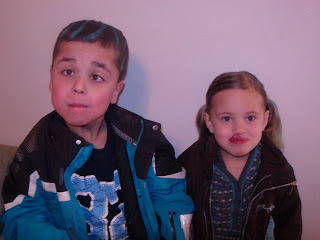 Conner said the kids at school loved his hair, and Taylor loved showing hers off too. 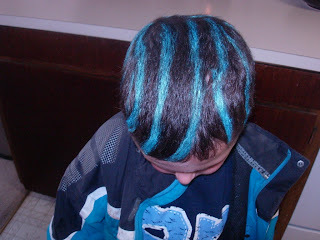 All in all wacky hair day was a success, I even put a few streaks in my hair, per request of the blue haired kids. At the end of the day; Wacky hair, Wacky kids, Happy mom. Dangit, you should have called me! I totally went overboard after halloween, and bought about six different colors of hair color, so I would have backups for the crazy hair days for my kids. Oh, well. Conner's hair looks cool! 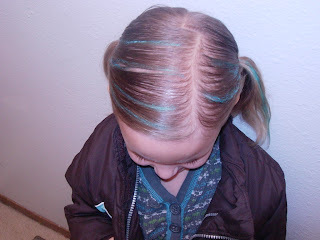 how fun....I can't wait to do Kylee's hair for something like that! presley and the ice cream cone pics are adorable too! !